Sponsored Post: This post is sponsored by Joan Of Arc Cheeses but the content and opinions expressed here are my own. 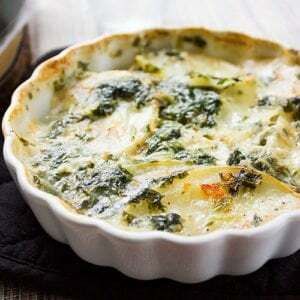 Potato Spinach Gratin – If you want to celebrate any occasion make sure to have some potato gratin on your table. 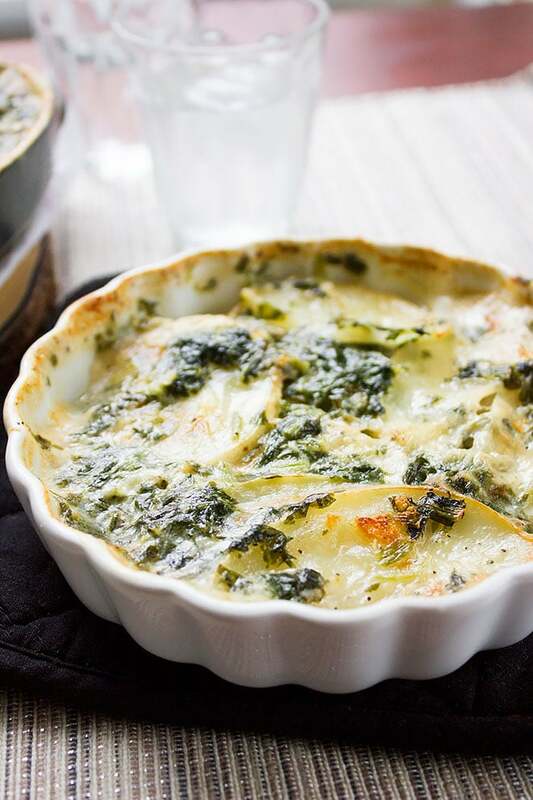 Potato gratin is a delicate, delicious, and yes, it is a rich appetizer that will please the taste buds of your family and guests! 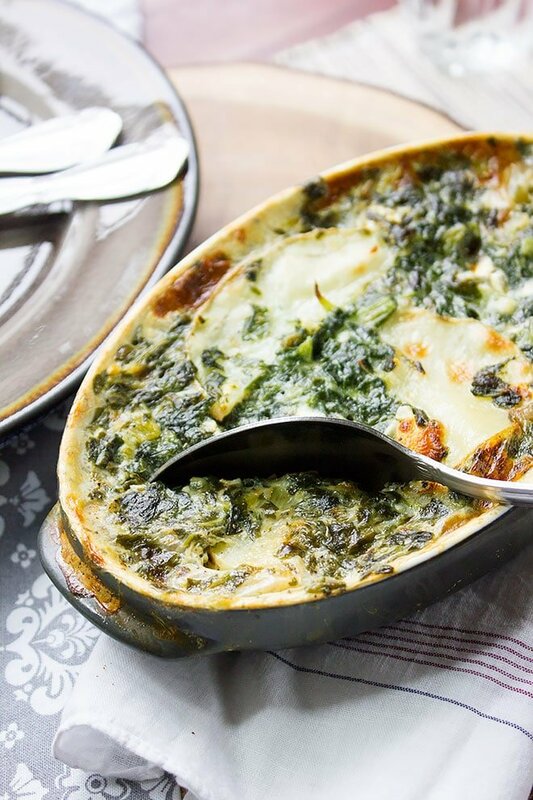 In this recipe, I have used Joan Arc’s Goat cheese, a cheese that mostly used on salads but including it in making this potato spinach gratin is not only smart but it added a delicious twist to the dish. There is a little tang to goat cheese but it complemented the sweetness from the cream and potatoes. I have added spinach for flavor and not to feel bad about adding heavy cream (if you know what I mean!). Making this appetizer hardly takes time. If you have a mandoline slicer you’ll be done quickly but if you have to slice the potatoes by hand then it might take a little more time. It’s not the end of the world and it is worth it! 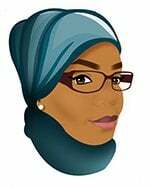 Let me tell you about a little secret that can save you a lot of calories. 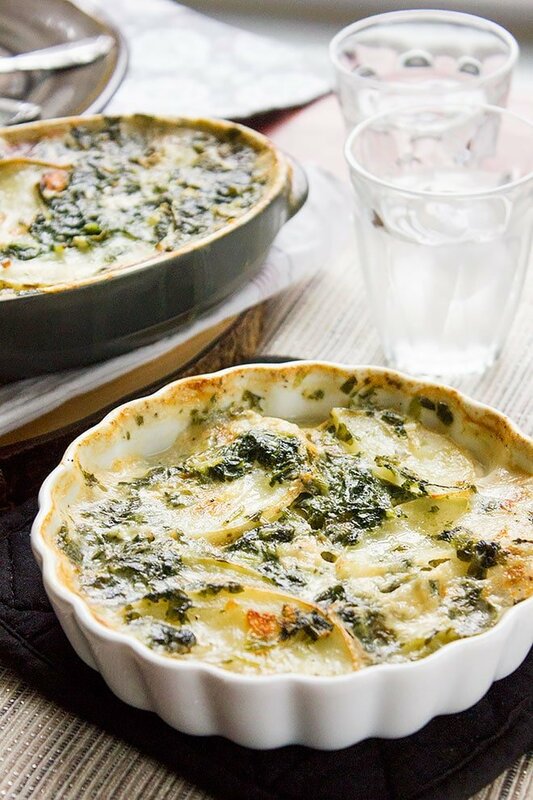 Although potato spinach gratin is supposed to be a rich dish, you can easily cut down a number of calories by substituting heavy cream with milk. 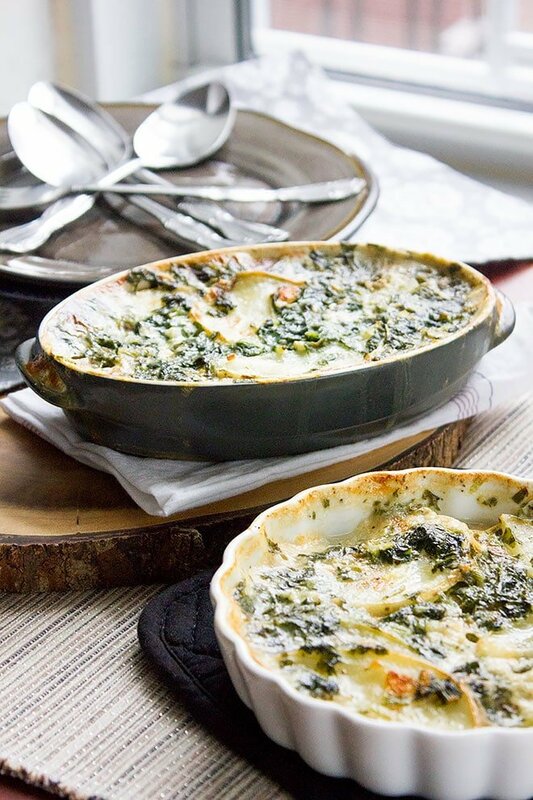 Add 1 ½ tablespoon of all-purpose flour to the milk, mix well and then add two tablespoons of melted butter, this mixture will thicken while the gratin is cooking and will give you a smooth sauce. I used Goat cheese in this recipe, but of course, you can add other types of cheese if you wish. It is best to cover the dish when baking and then remove the cover in the last 8 minutes to help it get that golden-brown color. If your oven doesn’t distribute heat evenly, you can place the dish under the broiler to get that golden color. 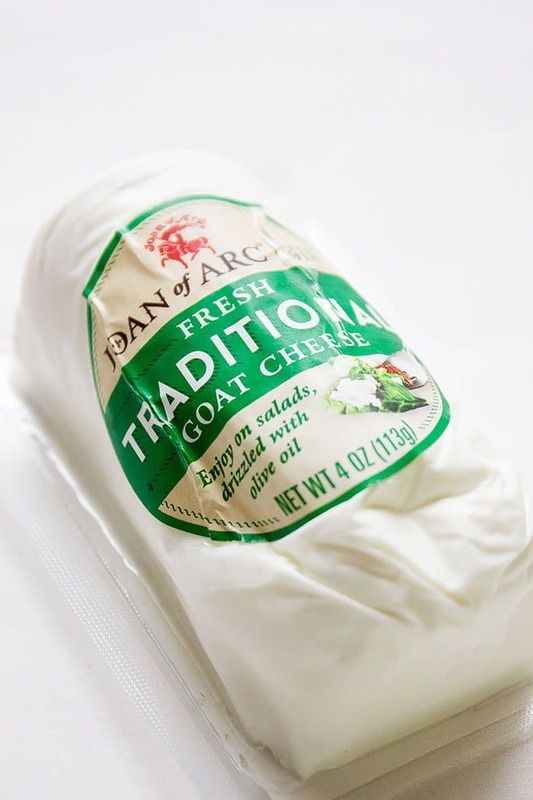 To know more about Joan of Arc Cheese click here. This recipe is for two! 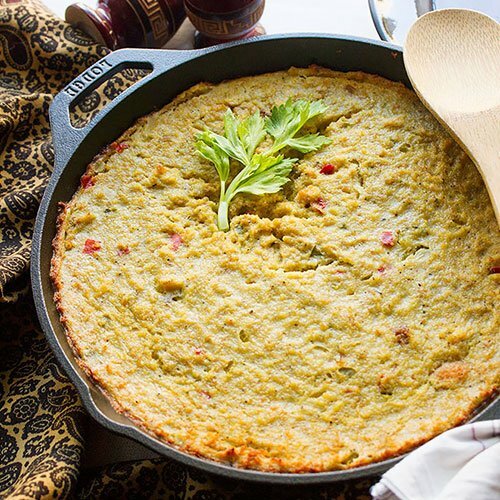 In a non-stick baking pan, layer ½ of the potatoes into the bottom of a casserole dish. In a bowl, add the cream, salt, black pepper, cheese, and spinach. Mix well. Add the rest of the sliced potatoes and pour the remaining cream mixture on top. Distribute the mixture evenly to cover all the potatoes. Cover the baking pan with aluminum foil and bake for 15 minutes. Remove the foil and bake for another 5 minutes or until the potato slices are tender.